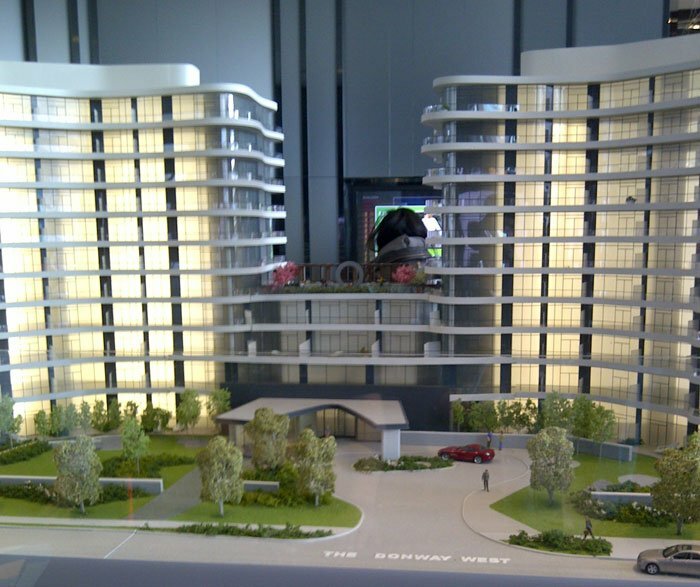 A new concept in condo living at Shops at Don Mills is now available at the new North York Flaire Condos that start from the mid $200’s. Brought to you by FRAM Building Group and Cadillac Fairview developers, the Toronto Flaire Condos is a one of a kind development located at the Shops at Don Mills North York Toronto real estate community where you will find the finest open air village with brand name restaurants, shops, culture and entertainment surrounding a vibrant and new Town Square. Dare to Flaire … introducing the new Toronto Flaire Condos for sale in North York where you can now register for VIP Launch information. 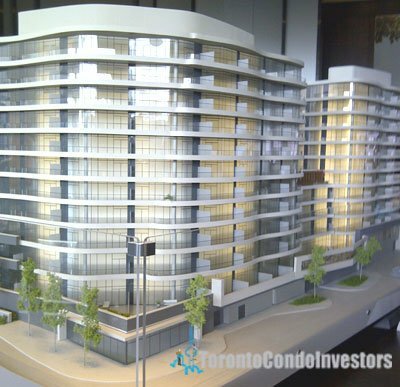 Located at 99 The Donway W North York Toronto, the Flaire Toronto condos for sale will start from the mid $200,000’s and take a couple of years to complete. For more information, please register online at www.flairecondos.com or if you even dare, you can ‘Like’ the preconstruction Toronto Flaire Condo Facebook Page and receive: advanced registration, special offers and promotions as well as up to date information on Flaire Condos and Shops at Don Mills North York. 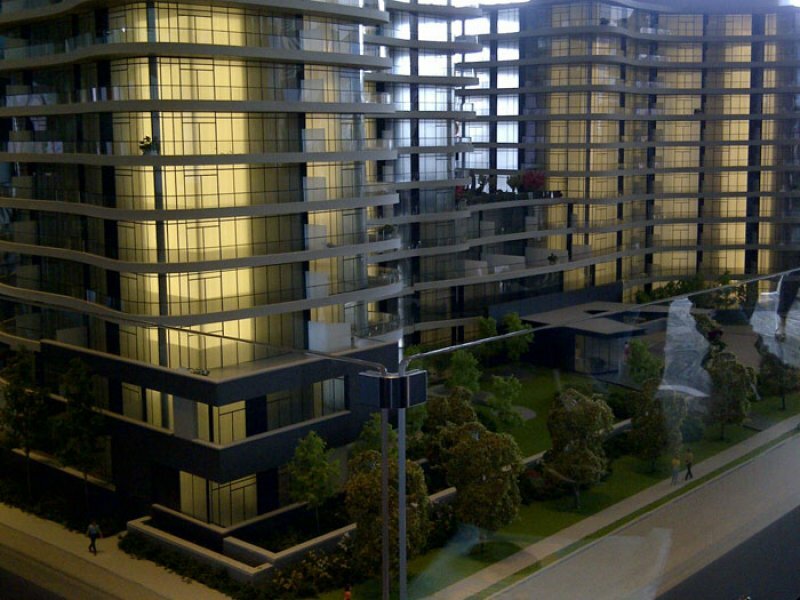 A new concept in North York Toronto condo living from the mid $200’s is coming soon! 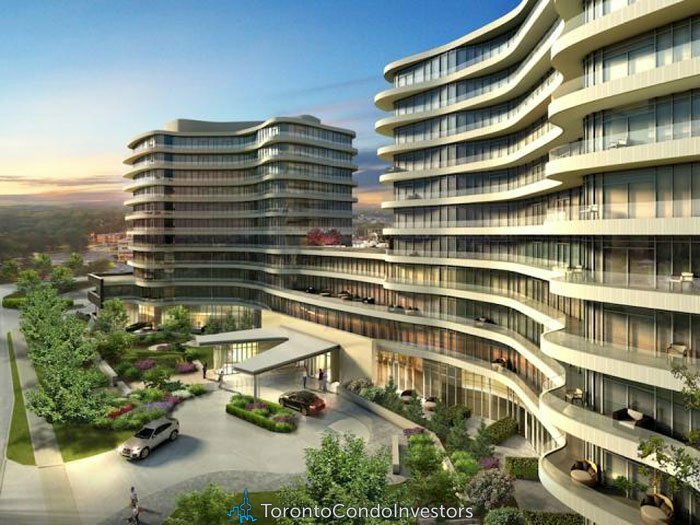 The strong sculptural, contemporary architecture of the Flaire Toronto condo tower features two undulating glass condominium towers atop an intimate podium in the heart of the Shops at Don Mills North York community. 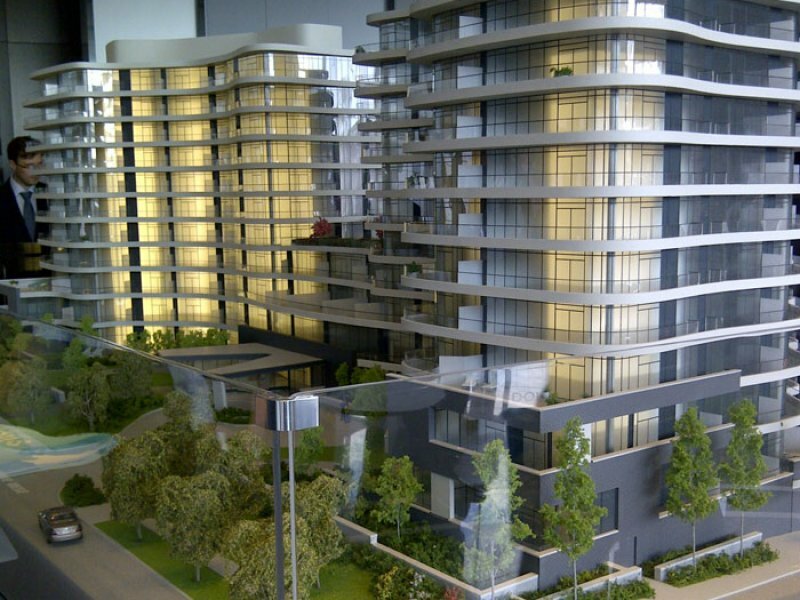 Just a few seconds away from world class dining both casual and formal in addition to boutique shops, the Shops at Don Mills North York Flaire Condominiums is a must-see for condo buyers and investors. The elegant and luxuriously appointed lobby entrance will welcome your guests and yourselves back to your new home and the Miami inspired alfresco rooftop lounge will sit atop the intimate podium with professionally landscaped areas. There will be a theatre room, fully equipped multi functional party room in addition to a complimentary Pet Spa on site. The preconstruction Toronto Flaire Condos in Don Mills North York will also feature a fully equipped state of the art fitness centre. The interiors are professionally designed by award winning Munge Leung Design Associates and the homes will have approx 9 foot ceilings in the main living areas. All homes will have the standard smoke, heat and carbon monoxide detectors in addition to white decora light switches and five inch baseboards. 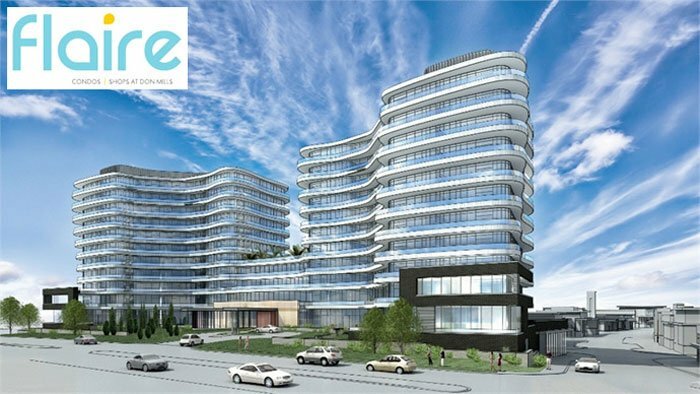 The Shops at Don Mills North York Flaire Condos for sale will also have energy efficient double glazed windows and sliding doors in addition to solid core entry doors and laundry facility with stacked washer/dryer in each and every suite. The preconstruction Toronto Flaire Condos will also feature contemporary custom designed bathroom vanity with medicine cabinetry in mirror in addition to polished chrome single lever faucets, single shower control with pressure balanced valve and water saving dual flush toilets. The master ensuite and main bathroom at the new Flaire Toronto condos will have luxurious deep soaker tubs and ceramic tiled surrounds. The kitchens at Flaire North York condos will have Euro inspired custom cabinetry, stainless steel appliances, cookbook cubbies at the upper cabinetry and stone countertops with square edging. There is an undermounted sink as well as premium cabinetry. The flooring will consist of premium strip laminate and pre finished engineered floors.